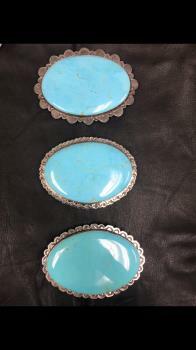 Each beautiful turquoise and silver buckle we sell is one-of-a-kind. In addition to the pieces listed on this site, we have additional jewelry available for purchase. Contact us for more information about the unique pieces we sell.